Happy New Year everyone! I'm a little late, but still wanted to wish you all a Happy New Year for 2011! I hope you all had a wonderful Christmas too! Mine was more then a little different this year and very quiet with just myself and my youngest Matthew. This was the first year that my eldest Jason wasn't home for Christmas. At the beginning of December Jase and his lovely girlfriend Nic became engaged and spent Christmas on Holiday in India. This was also the first time in nine years that Colin had to work away for Christmas too. He had a flight booked to leave for work on the 20th, but due to snow and flight cancellations at Heathrow he didn't get away until the 23rd. He was on standby for a seat on one of the next flights out and secretly I hoped he wouldn't get one, but sadly it wasn't to be! :o( Matthew arrived home late that night on the 23rd and we did have 3 lovely days of Mum and Matthew time together! I can't believe how long I've let it go again since my last post, I think my New Year's resolution should be to post more regularly don't you, as well as getting a lot more stitching and finishing done! 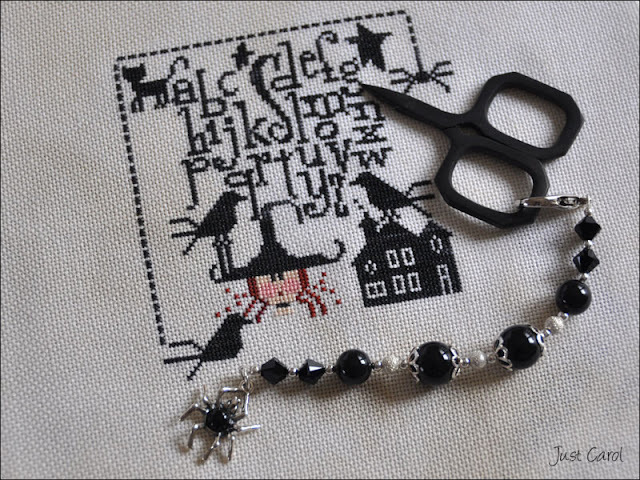 I've not done a stitch since October, when I started but didn't manage to finish a little something for Halloween. 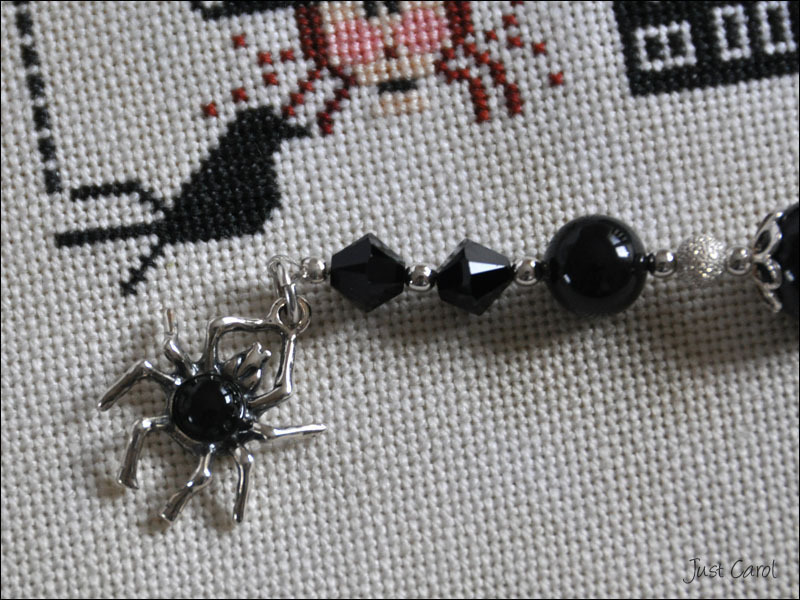 Although it's not stitchy I do have something I can show, which was a beaded fob I made for Halloween. It's pictured below with the Halloween stitching I didn't quite finish, a design by C Mon Monde.